There’s no doubt that Wolfgang Palm makes some pretty amazing synths. I don’t think that anyone would disagree with me there. And he’s done some very impressive work in the iOS world too, releasing WaveGenerator, WaveMapper, Phonem, and now Infinite. 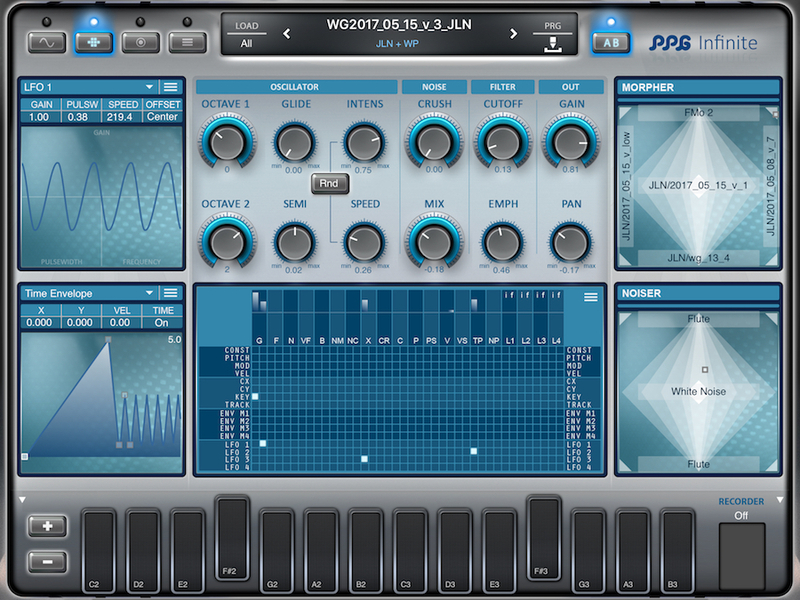 At the end of the 70s Wolfgang Palm developed wavetable synthesis. This was very successful and used by many synthesizer companies in the 80s and 90s. But this technology has its limitations. The main reason is that all sounds are harmonic. In nature this does not happen very often. Many sounds like a piano string have small offsets from the harmonic frequencies. This is even stronger in sounds like bells or percussion. The frequencies of the overtones created by Infinite can be totally freely defined. So the sounds it produces are totally free in the frequencies of their overtones. This means that each partial wave can have an arbitrary frequency. Moreover it is possible to move these overtones independently during the duration of a note. Another important part of most natural sounds is noise. Be it a flute or when a drumstick hits the drumhead – and this all can be reproduced in Infinite. Furthermore the noise source can be used to modulate the tonal part which results in very powerful effects. Besides these new digital features, we still have the typical 24db Lowpass filter, 2 VCA with stereo out and effects. All this is controlled by 10 envelopes, 4 LFOs and a modulation matrix. 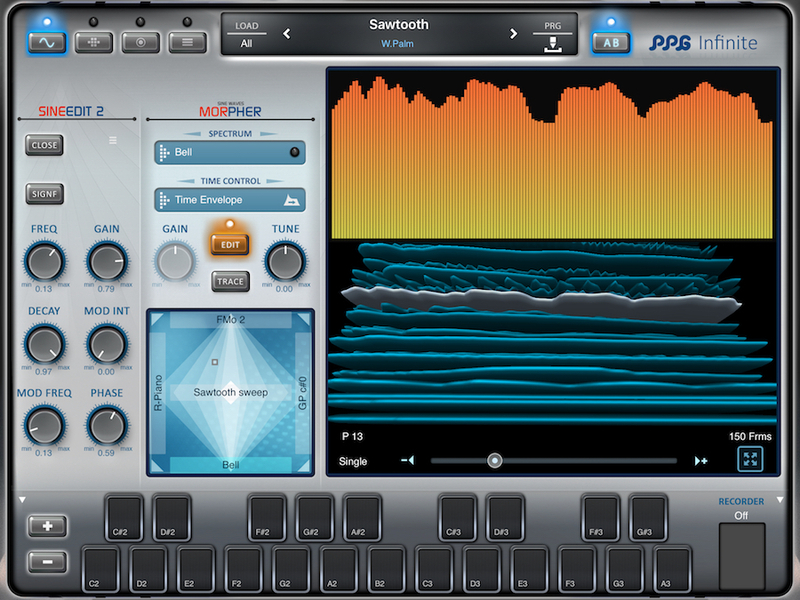 The app has some pretty amazing features too, especially around how it’ll work with WaveGenerator and WaveMapper, which is particularly intriguing and also the import from Phonem. I’ll be interested in seeing how those work. For now, here are what Wolfgang Palm considers as the ‘key’ features!